I started writing a coupla weeks ago about the documentary film I am co-producing with Spanish partner-in-crime Juan Rodriguez-Briso. There I began my impassioned recording of why I started my production company Purple Tembo Media and how the Chipolopolo's AFCON 2012 win was the catalyst to me pursuing that thread of my storytelling dreams. I always knew I would be some kind of filmmaker. Funnily enough, I became a writer before that, something I never thought I would never have the discipline for. Blogging started me on a journey when its path had been illuminated in my mind after I decided I wanted to create proudly Zambian and positively African content with mpamvu (literally power, here I mean umph or as MIghTy African would say vim he he he) in 2010 after completing my masters. It is the universal story of the underdog, forever underestimated, but never discourage to achieve the very best when challenged. Akin to folklore of old, it is a recounting of the age-old message urging us to continue to fight in order to reach the heights of success. This is an epic sanctioned by divine decree, that ensured nothing would stand in the way of pure intentions, hard work, determination, and ultimately, destiny. This is the emotional and now legendary football journey of an African nation, spanning five decades. It is the path taken by a country bound together by a tragedy that shook the nation, which then spurred them to honour their fallen heroes by playing the beautiful game at the highest level. This is the recounting of Zambia's rich football history, derailed by the tragic plane crash off the coast of Gabon in 1993, only to be triumphant in the same country at the momentus AFCON 2012 tournament. This is the opportunity to record, preserve and share this amazing story with the world. This is the documentary film telling the story of the unrelenting and victorious Chipolopolo: the Copper Bullets aka the Zambian National Football Team. So you are hooked by my verbose, superfluous and dramatically African introduction eh? Want to know more? If you follow these instructions you are not a twit, in fact you are rather smart. 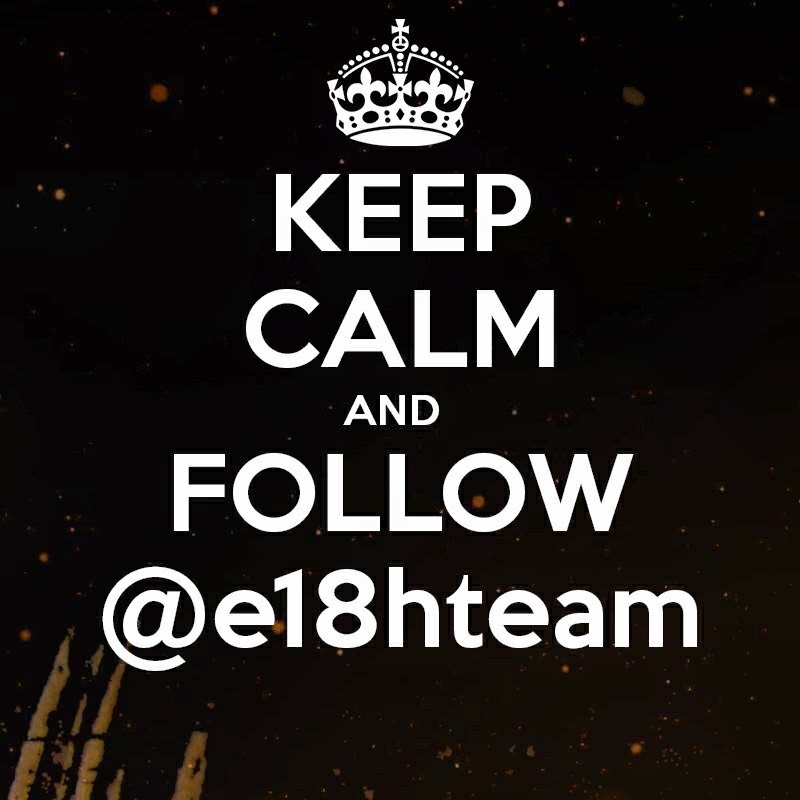 Now you can keep up to date with the film, find out why it is called e18hteam (pronouced eighteam), when it will be released and where it will be showing. Every hump day you'll enjoy #DidYouKnoWednesday with facts about Zambia, the Chipolopolo, football and of course the documentary. Go one step further and join the Purple Tembo Herd race and you will be rewarded. Help spread the word about the film and who knows what royal titles and gifts will be bestowed upon you. Post by Purple Tembo Media. 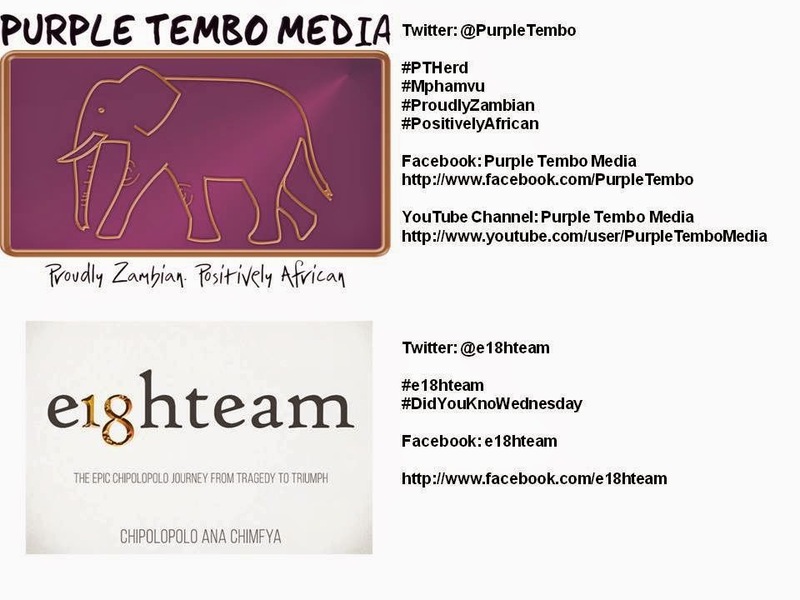 Recap: Like and follow e18hteam, like and follow Purple Tembo. Good things come to kind people. Here is a cheat sheet to help you out.